Availability: Please call 1-800-936-2159 to place an order. 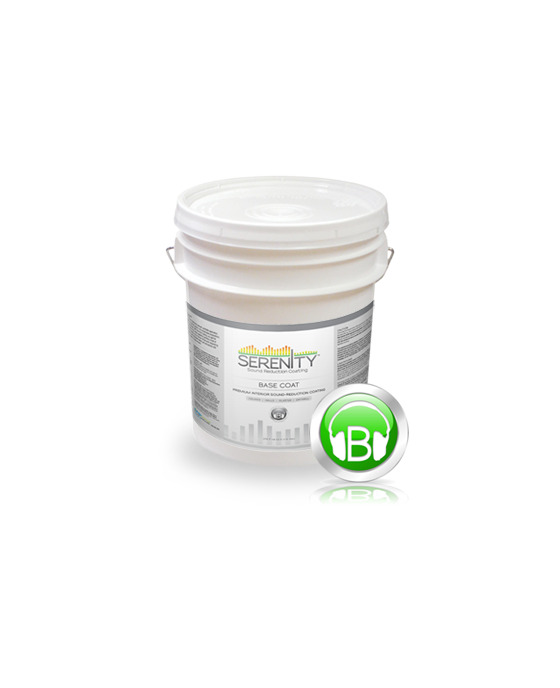 "Serenity is an outstanding product. Not only does it perform its main duty — reducing sound levels — perfectly, but I didn't have to destroy our building to apply it. I would highly recommend Serenity to other contractors looking for a non-invasive sound-reducing solution." For use on interior surfaces including ceilings, walls, plaster and drywall. 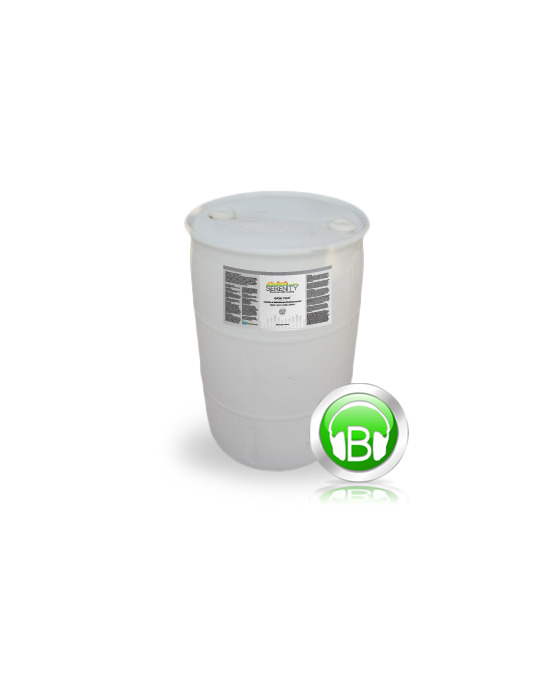 One gallon covers approximately 50 square feet depending on surface porosity and texture. Surface will dry to touch in less than one hour. Low temperatures or higher humidity will lengthen dry times. Do not apply if surface or air temperature is below 50°F (10°C) or above 90°F (32°C) during application and drying time. Stir thoroughly for 2 to 5 minutes with drill or paddle. For best sound reduction results, two coats of our Base Coat are recommended. Simply apply by airless sprayer, roller or brush. Let dry to touch (less than one hour) and then apply the second base coat. An airless sprayer with a 625-627 tip and 3000 psi is recommended. Please note, the use of a roller or brush may cause a textured finish. 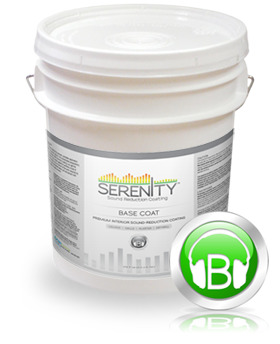 To complete the 3-step process, use Serenity Coatings Finish Coat and allow a 24-hour curing period after applying. When using Finish Coat in one of our 12 designer colors, additional coats may be applied to achieve desired color. Clean spills and spatters immediately with soap and warm water. Clean hands and tools immediately after use with soap and warm water.